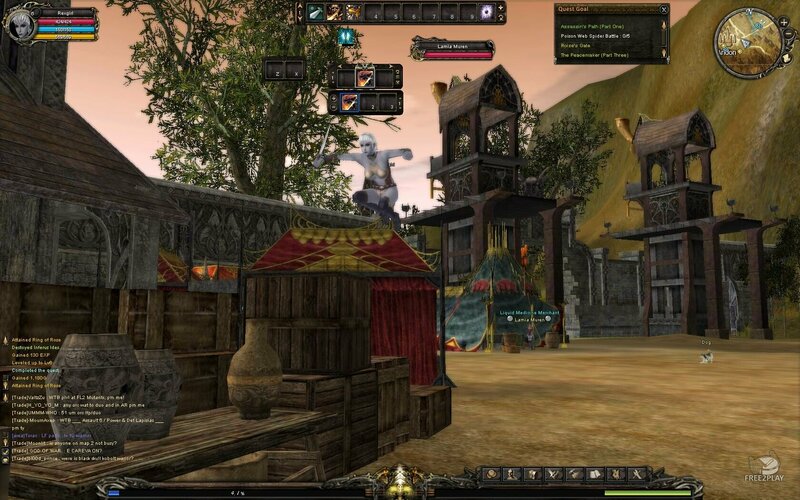 Shaiya is a f2p mmorpg where you must slay terrible beasts and wield powerful weapons choosing one of the four difficulty modes. Risk yourself playing Ultimate mode where death is permanent. The Blessing of the Goddess is a gameplay element specific to Shaiya. Each faction wins blessing points during PvP combat, by killing enemies or by destroying enemies' relics in PvP zones. These points are accumulated on the faction level, not for each character, thus giving a global blessing to the entire side. This blessing brings several buffs to players: higher success rate for lapis linking, greater HP and MP, reduced HP and MP regeneration times, etc. The more PvP points the faction has, the more important the bonuses are. These bonuses are applied on all areas, both PvE and PvP. - Hard mode, is unlocked once one character has reached level 40 in normal mode. Additional skills, items, and quests appear now. However, gaining experience takes four times the normal rate. - Ultimate mode is unlocked once one character has reached level 40 in hard mode. The difficulty of this level scales on par with hard mode, with one unique feature: if an ultimate mode player is killed and not resurrected within 3 minutes, that character is permanently deleted. New players must choose which faction they will play before creating a character: Alliance of Light or Union of Fury. Since these factions are at war, an Alliance player cannot use the game’s chat features with a Union player among other things. Once a player has chosen a faction, he/she cannot create a character on the opposing faction until all of his/her existing characters have been deleted. The chosen faction determines a player’s available races. In ancient times, there was the Goddess Etain and the three races she created: the Dragons, the Nordein, and the Dumianas. The Goddess Etain found faults in the Nordien and cast them into the soil. In their arrogance, the Dumianas questioned the Etain’s power and authority. The Goddess was weakened by their disbelief, and the Dumianas killed her. Her soul was torn in two. The death of the Goddess left Teos out of balance and unprotected. Other Gods sought to take over Teos and created monsters to invade and destroy it. The Dragons hid themselves from the world. When the dust settled, there were two new Goddesses overseeing Teos. The remaining Dumianas were split into two factions; one for each Goddess. These two races, the Elves and the Vail, found themselves in constant conflict with each other. Age old tensions fueled their aggression. Soon after, the Humans joined forces with the Elves while the Nordein re-emerged as the “Deatheaters” and allied with the Vail, creating two factions: The Alliance of Light and the Union of Fury. Not only battling the monsters that still roam the lands, these two sides wage a never ending war over the control of Teos.